Those opposed to gun rights are attempting to take advantage of the the the Sandy Hook School Shooting and resulting public sentiment to enact anti-gun laws. While those of use who are knowledgeable about firearms know such laws will only result in more law-abiding citizens being disarmed and at the mercy of violent criminals (who ignore gun control laws anyway and use other tools to murder), large portions of the public just don’t understand. Remember, we knowledgeable gun owners do not make up the majority of the public or the elected officials. Sadly, many such people in those groups don’t understand the pointlessness of assault weapon bans. They don’t understand the value of armed self defense, and haven’t been disabused of the many untrue myths about guns and gun owners that pervade our society. I personally know this to be true, as it was not until I was in my early 20’s that I became a gun owner. Before that, I grew up in an anti-gun family, and without really considering the matter just believed that guns were bad and the people who owned them were violent. Had I not learned that an employer of mine, who fit neither of those stereotypes, was an avid gun owner, I may never have re-evaluated my thoughts on guns, become a gun owner, and created this website. We, as gun owners, need to act now in order to preserve our rights – before it is too late. Please, take some time and some money to join the following gun rights groups, if you are not already a member. If you are already a member, give a gift membership to someone else, or donate to the gun rights organizations. Those funds are sorely needed to counter the pervasive anti-gun propaganda and anti-gun media bias. A little time and money spent now may mean the difference between preserving our gun rights or losing them. 1. 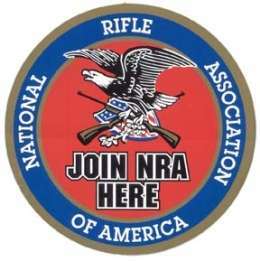 Join and/or donate to the National Rifle Association. 2. Join other pro-gun organizations, such as Gun Owners of America and the Illinois State Rifle Association. NRA initially withheld comment about the horrible crime that took place in Newtown, Connecticut last week, out of respect for the families of the crime’s victims and other residents of that community, and while law enforcement officials there conducted their investigation. However, President Obama and a usual cast of characters, in keeping with their longstanding practice of not letting any crisis go to waste, quickly used the tragedy to push their gun ban agenda. Obama took to the national airwaves to plead his case for additional gun control laws, and appointed longtime gun control supporter Vice-President Joe Biden to head a task force to formalize the president’s gun control plans by no later than January. And, if you think the latest gun control debate will be limited solely to legislation to ban semi-autos and “large capacity” magazines, think again. Calls have already been renewed to subject all private sales of firearms to background checks, even among family members and friends, and to end mail-order sales of ammunition. We knew that this fight was coming. But it’s now crystal clear that this latest round is on an expedited track and the corresponding rhetoric has been amped up exponentially. It has been little more than a week since a deranged sociopath murdered 26 people including a whole classroom of first grade students. During that time, we have witnessed what is probably the most brazen case of transference of blame on record. In just seven days, the liberal media spin machine has absolved the perpetrator of this horror and laid the blame for two dozen murders directly on the nation’s law abiding firearm owners. In the hours after the murders, many gun owners were surprised to hear leftist politicians, including Obama, declaring that all parties, including firearm owners, need to be involved in developing solutions to violent crime. The gun grabbers were certainly singing a different tune there for a while, but the old refrain was quick to return. A day later, Obama was wagging his finger at NRA members – daring to lecture us on “self reflection.” He then thumbed us in the eye by appointing his crackpot vice president to chair a committee that will decide which guns we get to keep, and which ones we must surrender to the feds. Joining Obama was a chorus of cranks and weirdoes from the liberal press such as Piers Morgan and Chris Matthews who piled on gun owners with on-air insult and harsh invective. Snarling animal Ed Schultz even went as far as to suggest that the police actively confiscate firearms from ordinary citizens. Not to be outdone, a leftist TV actress urged antigunners to seek out and shoot NRA members. Yes, in one short week, Obama and his supporters have transformed the victims of this crime from objects of our compassion into weapons to pummel our rights. The message to gun owners is that we are clearly to blame for the murders and we will be shunned by Obama’s America until such time that we contritely confess that we are the problem, and submit to the punishments that Obama sees fit to dole out. Indeed, Obama intends to make the United States a very unpleasant place for firearm owners to live. His plan is to neutralize us politically, isolate us socially, and deny us participation in the American mainstream. Obama is not finished with us yet. He has announced that he will use whatever executive powers he has to move us closer to a gun-free America. Emboldened by the spilling of fresh young blood and unfettered by concerns for re-election, Obama’s heart is set on making a name for himself by destroying your rights. The ISRA will continue to keep you up to date as the quest to take your guns from you develops. In the mean time, please try to enjoy the holiday season with your loved ones. At the same time, we urge that you practice situational awareness. Sadly, folks distracted by holiday festivities often become the targets of muggers and robbers or worse. Be aware as well that Obama’s reckless political gamesmanship could incite extremists to commit acts of domestic terrorism. If you see any suspicious activities while out and about this holiday season, be sure to notify the authorities as appropriate. The murders last week have resulted in the most severe attacks on your gun rights in decades. We stand a good chance of beating back the anti-gun mobsters. But, as always, we need your help. Right now, the most important thing you can do to help save your guns is to make a donation to the ISRA. We need cash badly to run our lobbying organization and produce educational materials for incoming political officials. If we do not get your help now, you may find yourself with an empty gun safe come June. Yes, things are that bad. Please donate today . . .
Eric, glad to see you blogging again! The gun 'control' push is pretty strong in your old stomping grounds these days. More so than in other areas (except maybe Newtown) in an effort to divert attention away from all the murders in Chicago this year. Those who support more gun 'control' (20,000 laws already in the books across the U.S.) need only look at the Windy City to see how well that's working out. Dude, very glad to see you blogging as well. Can't stand these weirdos who are running around deciding to do these massive murder of innocent people, especially when the innocents are little children. 😛 And just can't understand how people can think that taking guns away from everyone who legally owns them will make these incidents less likely. They will only make more people be unable to defend themselves, and the insane people who want to commit these bizarre horrific crimes will find another way to do it. Ghrrrrrrrl.